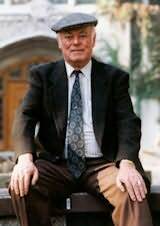 Alistair MacLeod (born in North Battleford, Saskatchewan) is a noted Canadian author and retired professor of English at the University of Windsor. "One of the great novels of our time." "This is a book of heart-stopping beauty. D R MacDonald is an exceptional writer." "Alan Cumyn is one of the best young writers in the country." "In this novel, Sandra Birdsell charts with a sure hand the lives of individuals struggling with both change and history on the plains of Manitoba. It is detailed and eloquent and deeply compassionate."